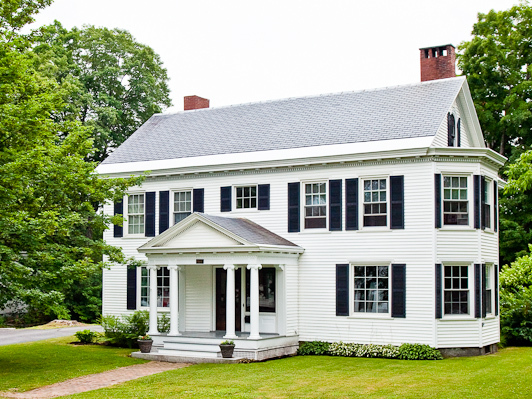 Constructed in the early 1800's this historic building is one of a kind. The latest renovation was completed in the 1904 by John Calvin Stevens giving the house its current colonial exterior. 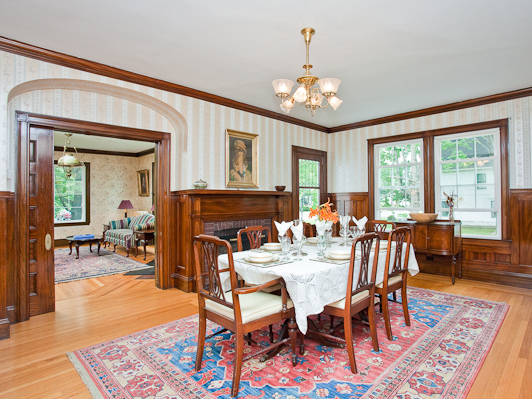 Stevens interior woodwork and arched entryway remain in excellent condition. Large windows, tall ceilings and original hardwood floors are accented by a blend of antique furniture and modern art creating a unique style and elegance. Guests may enjoy a sunset picnic by the river or evening drinks in the parlor. Our area has numerous trails, rivers and lakes for the outdoor enthusiast as well as local restaurants, ice cream shops and a quaint theater within walking distance . There is something for everyone in Dover-Foxcroft, ME.